The furnace is constructed with a brushed stainless steel shell and terminal covers. Ceramic fiber insulation is used to reduce power consumption and provide fast heat up rate. Top and bottom end disks are designed to provide durability and excellent insulating value. Heating elements are slurried windings (Kanthal A1 or eq.) and easier to replace than similar type furnaces. The furnace comes complete with heavy duty butterfly hinges to support split furnace on a 1.1875 in. (30.16 mm) diameter bar. 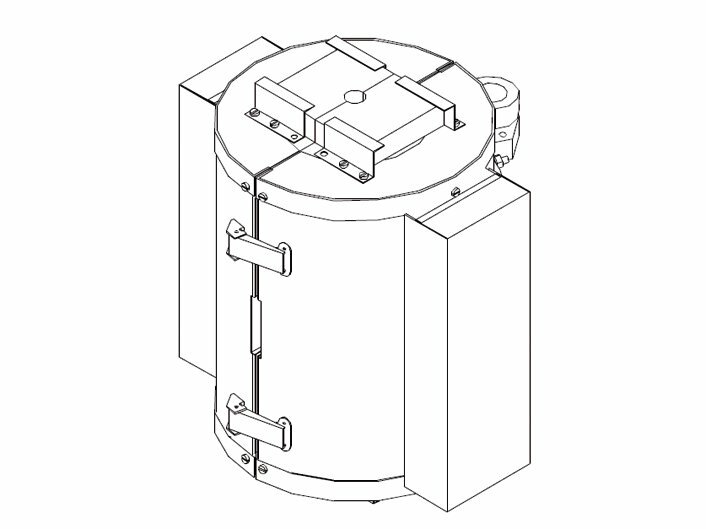 Top and bottom closures with bore to fit pull rod. 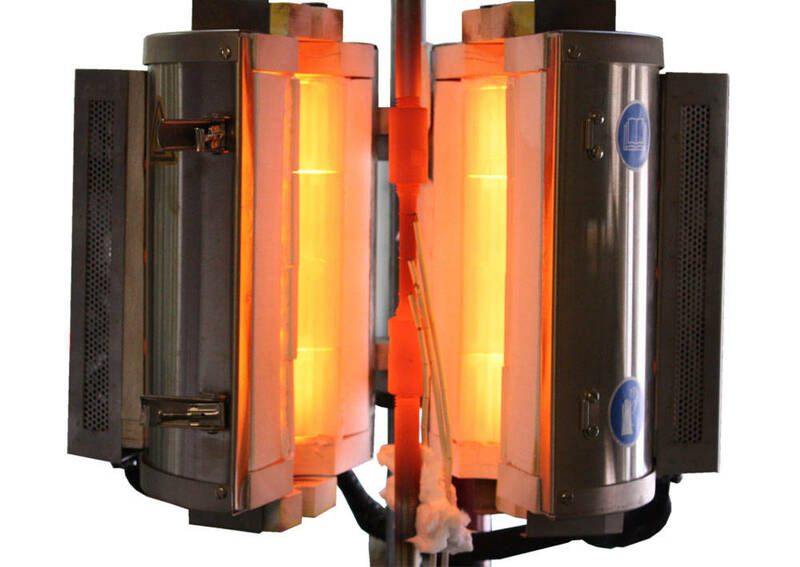 One wall mounted type K thermocouple is permanently mounted in the center of each heating zone for control purposes when purchaser elects to not to utilize thermocouples attached directly to the specimen for control. Temperature range: 1200 °C ( 2200 °F) service. Furnace power: 21 A, 2250 watts max. @ 120VAC, 50/60 Hz., 1ph. Wall mounted temperature sensors: (3) Type K thermocouples with mounting brackets and connectors. SF-16 furnace is configured to be used with a Model TCS 3203 type three zone temperature control system. Temperature readings taken from the wall mounted thermocouples will typically be different than temperatures measured directly on the specimen. For the greatest accuracy in controlling the specimen temperature, it is recommended that thermocouples attached to the specimen are used for both temperature monitoring and control purposes. When specified that thermocouples attached to the specimens are to be used for control purposes, The wall mounted thermocouples will not be connected to or utilized by the temperature control system. System typically configured for use with type K thermocouples. Anytime it is the purchasers intent to use a thermocouple type other than type K it must be specified at the time of ordering for proper interconnection wiring and controller setup.